Registrar, Dr.NTR University of Health sciences -2007 to 2012. Asst.Professor – May1988 to August 1997. CAS specialist, Dist Hqrs Hospital, Machilipatnam –May 1986 – April 1988. Academy of Administration (LBSNAA), Mussori – September 2011 (GOI midcareer in service training). 5. Guest lecture on “Simulation in Medical Education” in ISAAP State annual conference at Guntur Medical College – October 2008. 9. Organised first (2011) and Third (2013) AP State conference on EmergencyCare Education and Training with US faculty. 10. Organised workshop on Reforms in Medical Education at MRCHRD atHyderabad –June2010. 11. Invited delegate American Association of Physicians of Indian Origin AAPI Annual Conference atLosangels, USA, USA -2012 July. 4. Newer Evaluation Methods – Ist AP state conference on Medical Education at Andhra Medical College, Vishakhapatnam – Jan 2011. 5. Humanities in Medical Curriculum – 2nd A.P.State Conference on Medical Education, Mamatha Medical College, Khammmam- 2012. 6. Medical Education Overview- ISAAP state conference, Kakinada-2006. 1. Member Academic senate, Dr.NTR University of Health Sciences-2006 to 2007. 2. Chair core committee, Medical Education – 2008-2012. 3. Member Convener steering committee, UNICEF and NTRUHS Project on IMNCI Programme in Undergraduate curriculum. 5. GC member Indian Institute of Public Health – 2007 to 2012. 6. Member, committee on Residency system appointed by Govt. of AndhraPradesh. 7. Member, committee on rationalization of service reservations in Medical Post graduate Course. 8. 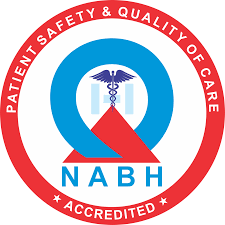 Academic coordinator, Dr.NTRUHS International Training Center of Resuscitation skills. 9. Member committee on preparation of Draft service regulations for teaching and Non-Non teaching staff, SVIMS, Tirupathi. 10. Member EMCET committee, JNTU Andhrapradesh.2010 to 2012. 11. 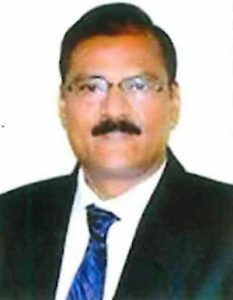 President, Indian Society of Anaesthsiologists AndhraPradesh State Chapter -2011. 13. Life Member Indian Medical Association. 14. Member Editorial Board, Indian Journal of Anaesthesiology – 2008 to 2011. 1. APMGUSA leadership award for the year 2011. 2. IMA Gold Medal Oration – 2009. 3. Fellow Medical Education – 2007. 4. IMA Achievement award – 2006. 5. Best doctor Award – 2005. 7. Best Poster in Paediatric Anasthesia at 5th Asian Society of Pediatric Conference, 2006 at CMC Vellore. 8. Successful Anaesthetic management of Conjoined twins Rekha-Surekha.